Hey, y’all! 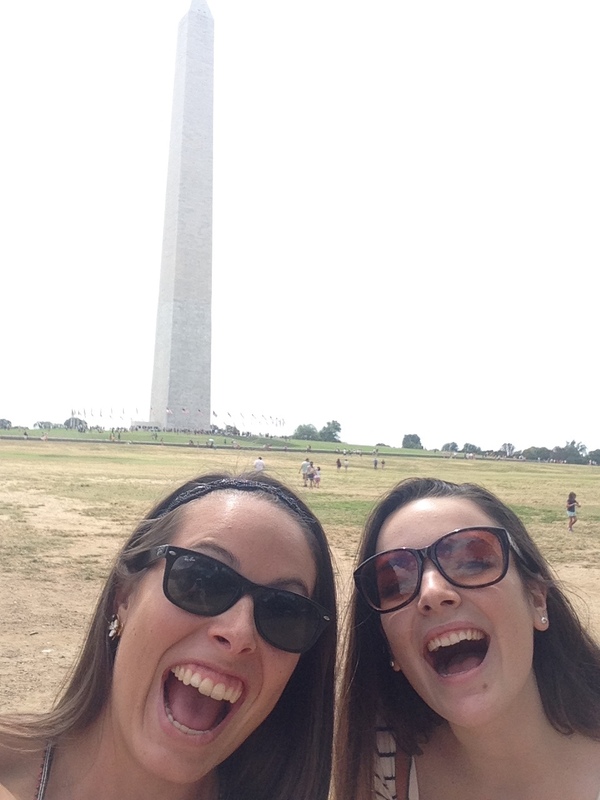 I spent this past long weekend venturing around the nation’s capital with my friend Kelsey and it was SO much fun! !…despite the sweltering heat. While I’ve been to DC before, it’s been a number of years and I had always gone with family or with a school group — so it was nice to just galavant around town without any real itinerary. Kelsey and I played the part of typical tourists quite well, but ended up brunching at a spot that’s a gem to locals — Founding Farmers — which happens to be just a hop, skip and a jump from the White House (which seems a lot smaller in person). If you end up in DC and find yourself at Founding Farmers (which I highly recommend because DC is a wonderfully pretty and clean city), you NEED to get the beignets. For $8 you get six of the lightest, airiest (is that a word? ), most delicious squares of fried dough. You also get three dips for your dough (pun totally intended): raspberry, chocolate and caramel. I very much enjoyed mixing the chocolate and raspberry together. YUM. TAKE ME BACK. 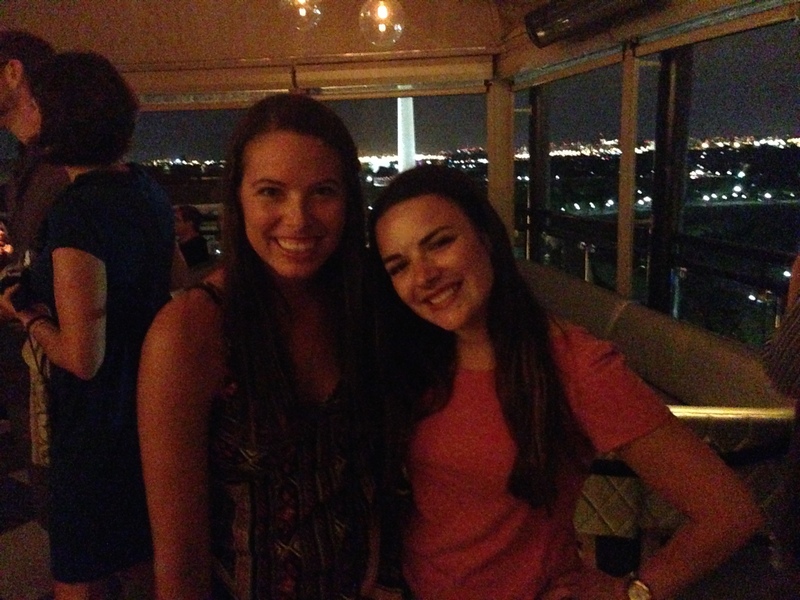 We met up with a friend of Kelsey’s from college who took us to the POV Roof Terrace & Lounge (a bar at the top of the W hotel) where we had great views of the Washington Monument and the White House. Drinks were pricey…but you’re paying for the chance to see Obama waving from 1600 Pennsylvania Ave, right? Totally. Kels and I clearly don’t know how to close our mouths when taking selfies. 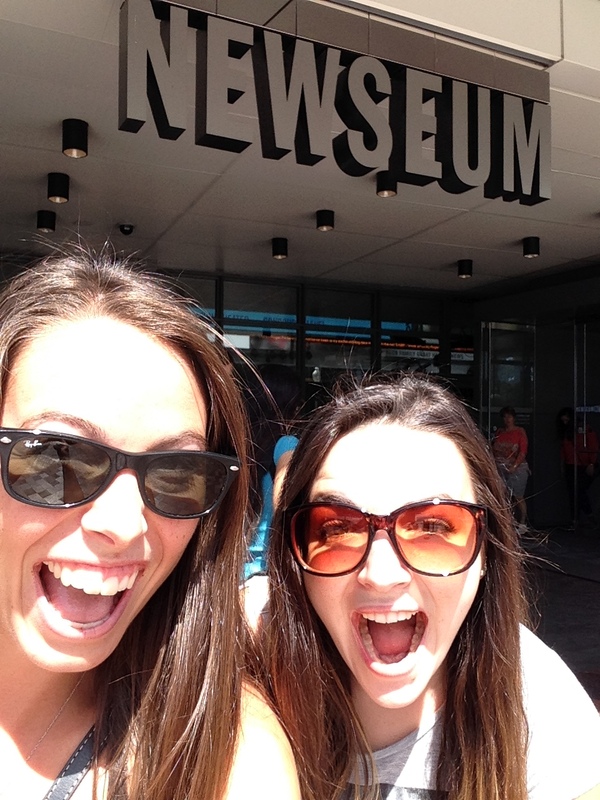 Kelsey and I met at ABC News over a year ago so it was only appropriate that we ended up at the Newseum. (I got in for free with my Bank of America credit card — first weekend of every month, the card gives you free entry into 150+ museums nationwide! yay free stuff!) Typical news junkies. Just because I no longer work in news, doesn’t mean I don’t appreciate the industry and the important role journalists play in our society. Fourth estate, yo! Thanks for a wonderful weekend, DC! With menu items like The Walk of Shame Breakfast Burrito and the Cinnamon Roll As Big As Ya Head, Ted’s Bulletin is a foodie’s ultimate find in D.C. Try an adult milkshake while you’re at it — I had the Bananas Foster…so so so gooood. Definitely check out Ted’s, located in a hip section of the Capitol Hill area in D.C. Plus, it’s super easy to get to via the Metro!